Pharmaceuticals in drinking water sources have raised significant concerns due to their persistent input and potential human health risks. The seasonal occurrence of 25 pharmaceuticals including 23 antibiotics, paracetamol (PAR), and carbamazepine (CMZ) in Taihu Lake was investigated; meanwhile, the distribution and removal of these pharmaceuticals in two drinking water treatment plants (DWTPs) and a constructed wetland were evaluated. A high detection frequency (>70%) in the Taihu Lake was observed for nearly all the 25 pharmaceutics. Chlortetracycline (234.7 ng L−1), chloramphenicol (27.1 ng L−1), erythromycin (72.6 ng L−1), PAR (71.7 ng L−1), and CMZP (23.6 ng L−1) are compounds with both a high detection frequency (100%) and the highest concentrations, suggesting their wide use in the Taihu Basin. Higher concentrations of chloramphenicols, macrolides, PAR, and CMZP were observed in dry season than in wet season, probably due to the low flow conditions of the lake in winter and the properties of pharmaceuticals. 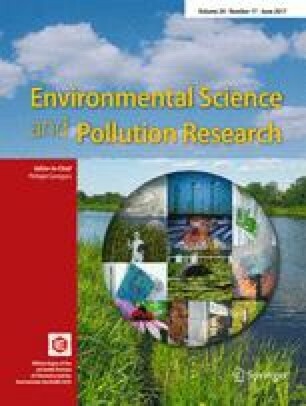 The overall contamination levels of antibiotic pharmaceutics (0.2–74.9 ng L−1) in the Taihu Lake were lower than or comparable to those reported worldwide. However, for nonantibiotic pharmaceutics, PAR (45.0 ng L−1) and CMZP (14.5 ng L−1), significantly higher concentrations were observed in the Taihu Lake than at a global scale. High detection frequencies of 25 pharmaceuticals were observed in both the two DWTPs (100%) and the wetland (>60%) except for florfenicol and sulfapyridine. The removal efficacies of the studied pharmaceuticals in DWTP B with advanced treatment processes including ozonation and granular activated carbon filtration (16.7–100%) were superior to DWTP A with conventional treatment processes (2.9–100%), except for sulfonamides. Wetland C with the constructed root channel technology was efficient (24.2–100%) for removing most pharmaceuticals. This work suggests that the application of cost-effective technologies such as constructed wetlands should be considered as an efficient alternative for removing pharmaceuticals from water supply sources. The online version of this article (doi: 10.1007/s11356-017-8830-y) contains supplementary material, which is available to authorized users. This work was supported by the National Natural Science Foundation of China (grant numbers 21277100 and 21577103) and the Major Science and Technology Program for Water Pollution Control and Treatment (2014ZX07402001). It was also in part funded through support from the Swedish Research Council to the project (D0691301).